OR! Maybe I'll go all Olivia Palermo business chic?! Super cute right! I feel like I want every outfit of hers in my closet...right now...(wait two seconds please...can I just say how excited I am that she's still relevant to today's universe! I LOVED her on The City and I'm still obsessed today! She's still wicked stylish and has amazing taste in clothes!) She can be edgy chic or powerful business women! I love how she pair the large belt with the blue pencil skirt. Also how she draped the studded leather jacket over her shoulders instead of wearing it. She's already photo ready! Take note! ALSO! 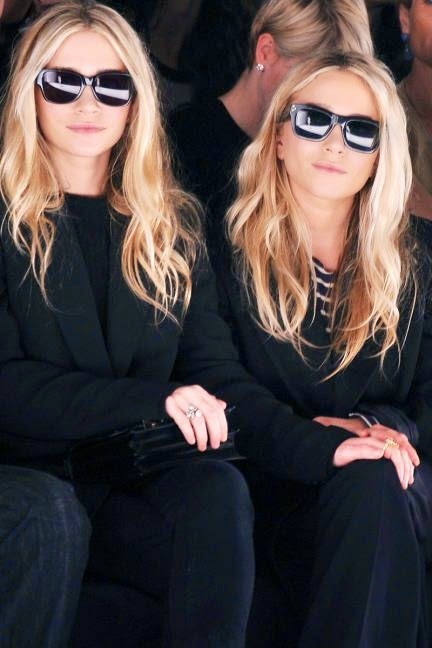 I could go all Olsen Twins on everyone and wear all black with my huge sunglass ON while watching the fashion show, duh...still chic but a bold move wearing sunglasses in a show...I feel like you need to be really important or Anna Wintour, who's obviously the most important person in fashion...she's just proving my point. POSSIBLY maybe even Victoria Justice style? This would be most practical for me. I would totally wear this even as an everyday outfit! Victoria has great style! 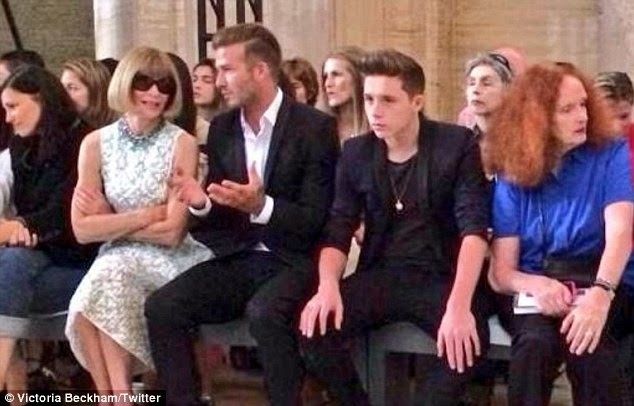 I'm so happy to see her at fashion week! Her outfit has very cool texture to it as well! 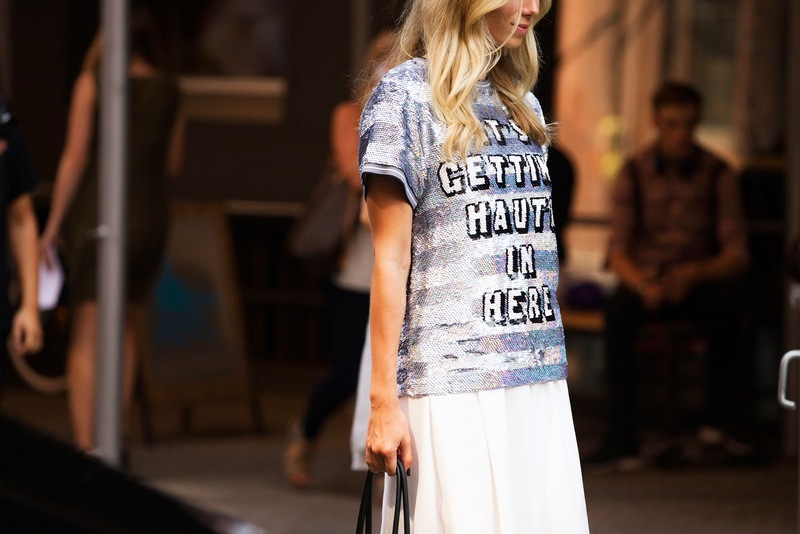 So if I could take the sequined skirt, Carrie's skirt, Olivia's purse, Victoria attitude and the Olsen Twin's sunglasses I pretty much have THE PERFECT fashion week outfit! PS...Look at this picture! How perfect is this scene! Anna, David, Brooklyn, Grace! AMAZING! Tell me below in the comments what you would wear to fashion week! Or Tweet me @ElizzabethHope with pictures!!!! Beautiful outfit inspiration! I would love to go to NYFW, it looks like such a great experience to have! what a great post! I absolutely adore Olivia Palermo's style and I am obsessed with that skirt that Carrie wore! love these looks, very inspirational! Love these pics! Great inspo!